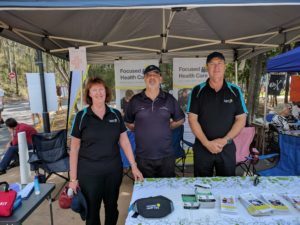 Today we joined together with Focused Health Care, to provide an information stall at the Sandgate Bluewater Festival. Focused Health Care are a local Northside Brisbane company, providing quality health care to the aged community, from the sunshine coast to the gold coast. Together we had a fun filled day at sunny Sandgate sharing our businesses with the locals.